When we think of a bird of prey we almost always picture to ourselves a bird eating lots of bloody meat. 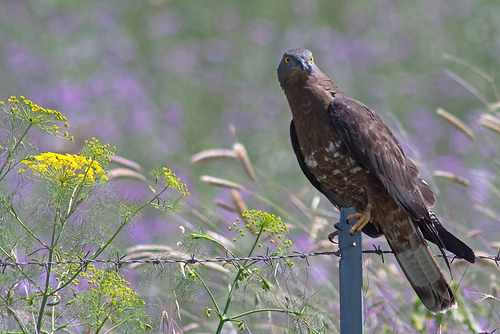 But the Honey Buzzard prefers wasps and other insects. 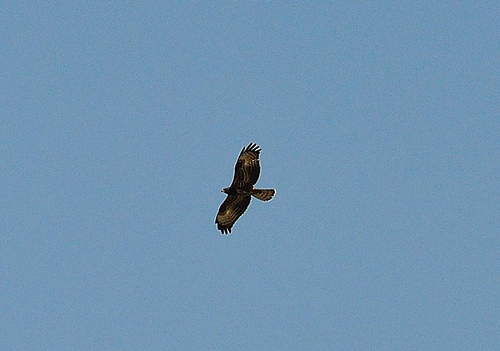 It differs from the Buzzard by its long neck, useful to dig out wasps. 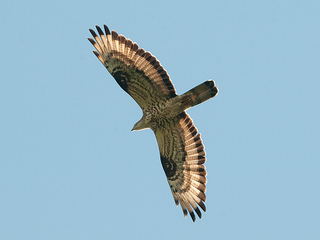 The Honey Buzzard has a slender neck and a long tail.